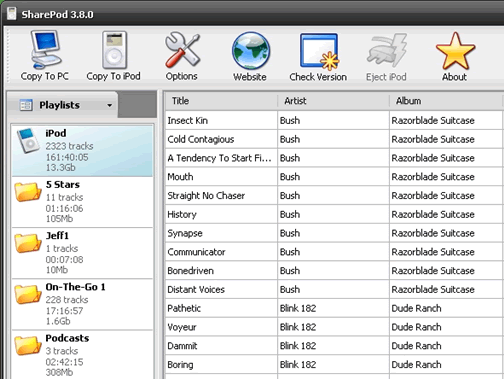 SharePod is a freeware utility that allows you to manage your iPod content easily. It allows you to add and remove music and videos to your iPod, edit playlists and more. You can backup all your tracks to your desktop computer. SharePod also runs on iPod so you can use it anywhere you want. SharePod currently supports only iPod but in future it will support iPhone/iTouch. Checkout the faq section if your iPod is blocked by iTunes for a workaround. quite good tool for ipod….i used to copy songs from my ipods through this way. i keep on changing 07 to 08,09 and so to change folders till i found my music folder.